New York (TADIAS) — Abaynesh Asrat, Founder & CEO of Nation to Nation Networking has been named one of the Champions of Change in 2018 and will be formally honored at an awards ceremony on Friday, May 18th by UN Women’s Metropolitan New York chapter. The last time that we featured Abaynesh — whose prior achievements included working to eradicate fistula, promoting youth ambassadors for health, and providing diversity leadership training programs — she was in Ethiopia hosting a workshop in collaboration with Addis Ababa University on solar energy as an alternative to women’s backbreaking daily task of fetching firewood and coal for fuel in remote and rural parts of the country. The 2018 Champions of Change celebration honors women who worked in various areas including economic empowerment, peace & security, political participation, eliminating violence against women, media and advocacy. Born in Ethiopia, Abaynesh lives in New York holds a B.A. from Bennett College in North Carolina as well as an M.A. in Social Science from East Michigan University. Her non-profit, Nation to Nation Networking launched in 2004, bridges health, education and economic development programs for young children and their families in urban Ethiopia. The organization facilitates short term access to yearly eye examinations as well as financial support for uniforms, food, and school building rent, while visionary long-term aims include addressing early marriage issues, which affects adolescents’ access to full-time schooling. Nation to Nation Networking develops and implements results-oriented projects aimed at promoting culture and understanding to serve under-privileged communities, without fragmenting those cultures, through empowerment and enrichment. As a former clinician and administrator at New York Medical College, Abaynesh also developed a program that trains medical students to see beyond the stethoscope and observe how social and economic issues affect their patients. She implemented interventions for families to end the cycle of violence while trained staff provided peaceful living awareness and conflict prevention training. Her contributions led to establishing an infant and toddler rehabilitation school, within a hospital setting, where early development challenges and parental behavior are addressed and corrected on-site. Abaynesh describes her work as encompassing and “creating a world with equal access to resources and open conversation on topics that promote change at a global level.” She highlights that her passion and commitment to social change comes from a “devotion to empower women, families and underserved communities,” and she therefore diligently and successfully envisions and executes programs and conversations committed to justice and human rights. She has been a strong advocate for the empowerment of women and families, and in particular against organ trafficking affecting migrant domestic workers as well as disseminating key awareness training and workshops via speaking engagements and conferences hosted by Nation to Nation networking in African countries and beyond on various projects including use of solar power energy for households, maternal health & fistula education, and prevention of infant mortality. Abaynesh’s philanthropy and activism work has also been presented at UN NGO CSW parallel events, and her innovative programs have changed the way communities think and work, and helped open conversations that pioneer forward-thinking, thoughtful action. As an activist Abaynesh has worked with international lawyers on issues such as “bill of rights of child marriage” and “child labor” with a goal towards incorporating legislation within the UN charters of protections. Abaynesh has been recognized and awarded for her work by organizations including the New York Metropolitan Museum, MLK Jr. Center for Non-Violence, the Association of Black Educators of New York, Africa Chamber of Commerce, the Fistula Foundation, National Council of Women of U.S., the New York Women’s Agenda (Galaxy Woman), and NBS radio talk host and W.F. Ambassador of Peace. “If we have understanding, we can build peace” Abaynesh says. Abaynesh is currently a Board member of UN Women’s National Committee, United States Metropolitan New York Chapter, and a member of the Planning Committee of UN NGO CSW, NY, CEDAW Task Force. 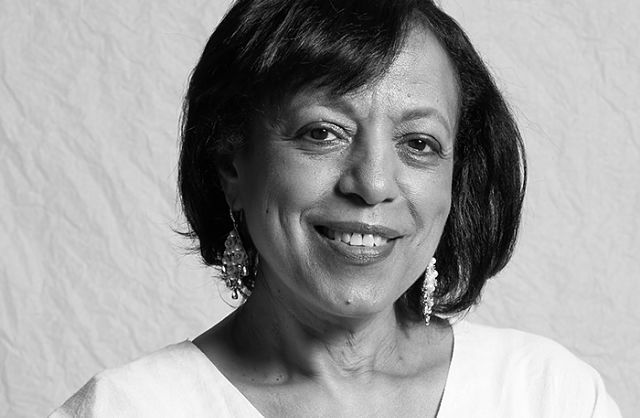 In the past she served as a Board member for the Museum of Art and Design and New York Women’s Agenda as well as the Fistula Foundation, where she was also National Fundraising Chair for the foundation’s initiative to build a specialty hospital in Harar in 2002. Abaynesh continues to remain involved with Hamlin Fistula Ethiopia and their established Midwifery College, and has conducted speaking engagements with UNIFEM, UNICEF and the Committee on the Status of Women (CSW) planning committee. She also previously served for two terms as President & CEO of the Coalition of Ethiopian Women in New York with the goal of aiding individuals in adjusting to a new adopted country and culture as well as providing resources for violence prevention against women. We congratulate Abaynesh on her selection as a UN Women 2018 Champion of Change for Gender Equality! Emcee Laura Brounstein from Cosmopolitan and Seventeen Magazines. Entertainment by Batalá New York, TrevMoMatic, and Emmy® Award-winner Mickela Mallozzi of PBS’s Bare Feetwith Mickela Mallozzi.